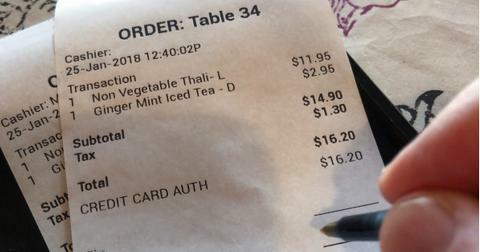 A common restaurant scam has people saving their receipts. As time progresses, a totally "paperless" reality seems imminent, so holding on to physical "receipts" and copies of documents seems more and more prehistoric as time progresses. In fact, there's a huge petition for driver's licenses to appear on people's cell phones in the form of an app through the Department of Motor Vehicles. While the question of identity protection in the digital sphere is an ongoing conversation, industrialized nations have all but moved to completely electronic modes of paying for goods and services. How much does it stink when you go to a spot and they only accept cash? Personally, I use my credit card for just about everything. They're more secure and have way better insurance/fraud protection than debit cards. Also, once you use cash, it's gone forever. You might think your debit card is secure, but try contesting the charges on a debit card. Banks usually don't refund your money right away, but if you use a credit card and get scammed, you can lodge a complaint (American Express is amazing with this) and you've still got your cash in your bank account for emergencies. But for a very common restaurant scam, you may need documentation, as redditor u/Ryan_77 suggests. 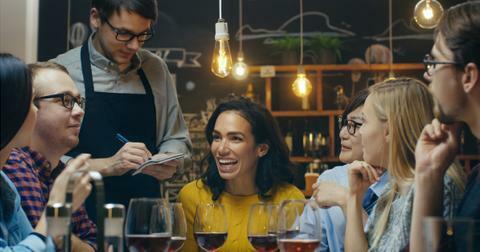 He advises people who dine out to always bring a copy of the receipt and fill out the portion listing the gratuity amount, because sometimes members of the staff adjust it on the merchant copy after you leave. Yes, apparently people do this, like fellow user u/onekate's coworker, who used to bump up every single tip to 20 percent, no matter what. Here's the thing: they were never caught or called out on it, either. As is often the case in restaurants and the nature of how your meals are billed, the total of the bill is charged first to the card, with the amount of gratuity charged at a later time. You might notice it if you have alerts on your cellphone that pop up with the total amount. 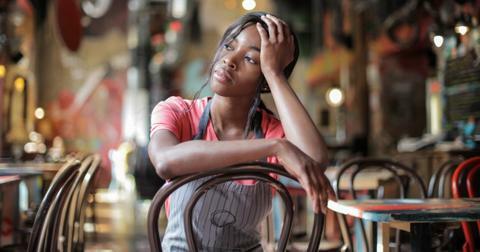 You spend $100 on a meal and leave a $20 tip, you'll see that $100 charge right away, usually. But the tip comes sometimes days or even weeks later. If you're not vigilant about checking your account, well, there's a very good chance you'll miss it if you had a dishonest waiter or service worker. They probably know you're not scrutinizing your monthly charges on your credit card and just attack the balance whenever it gets too high. Plus, if they work at a restaurant with a high volume of customers, they don't need to hit many people with large charges. A few dollars here and there probably won't be missed, but at the end of the day an industrious and scheming schemer would find themselves with a way fatter take-home at the end of the month. As LifeHacker points out, there are some "hidden" charges restaurants can make to your card that are totally legal, like "walkout fees." Let's say you're at a bar and leave your credit card there before closing out the tab. If they have a policy posted, they can charge you for that. It's almost always better to close out your tab with each round of drinks so you get into the habit of not leaving your card, in case the bar in question doesn't feel like waiving the fee for you. 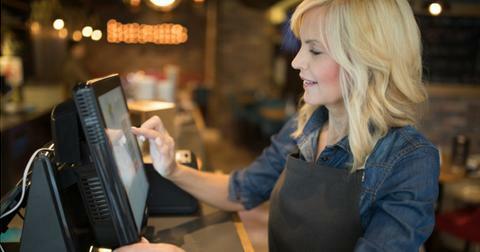 If you did save your receipt and a restaurant employee tries to superimpose their own tip on your check, there are several ways to protect yourself. The best way is to contact the restaurant and show your copy of the receipt, explain what you ordered and the gratuity you left. You can also contest the charge with your credit card provider or the bank who issued your debit card. Credit card companies are almost always easier to deal with in this regard, plus they'll handle all the messy business of calling the restaurant up so you can avoid having that conversation altogether. Want to avoid carrying around a wad of receipts? You could also snap photos of the receipts with the amounts clearly filled-in, or always bring cash, which completely eliminates the headache entirely. But who's going to carry cash around with them? Heaven knows I always forget.